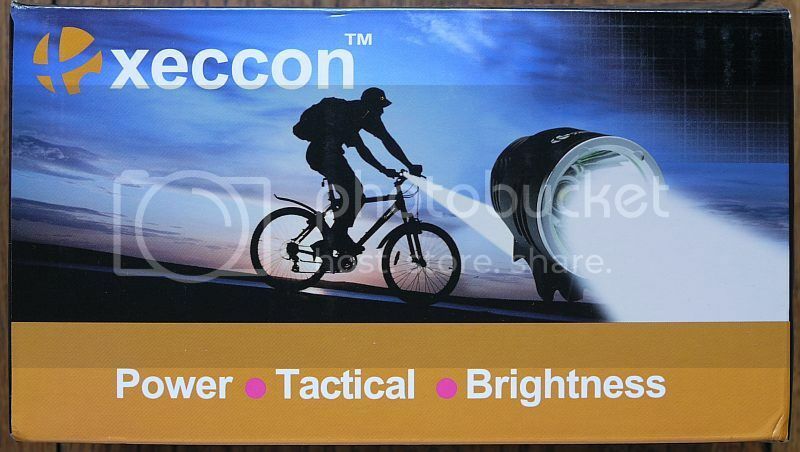 Xeccon have released a light to supersede the S12 bike light I reviewed previously here. The S14 is a different light, and is a worthy successor as it improves on the S12 is several ways. The S14 is well finished and having seen many of this type of light, immediately has several finishing touches that show thoughtfulness in the design. 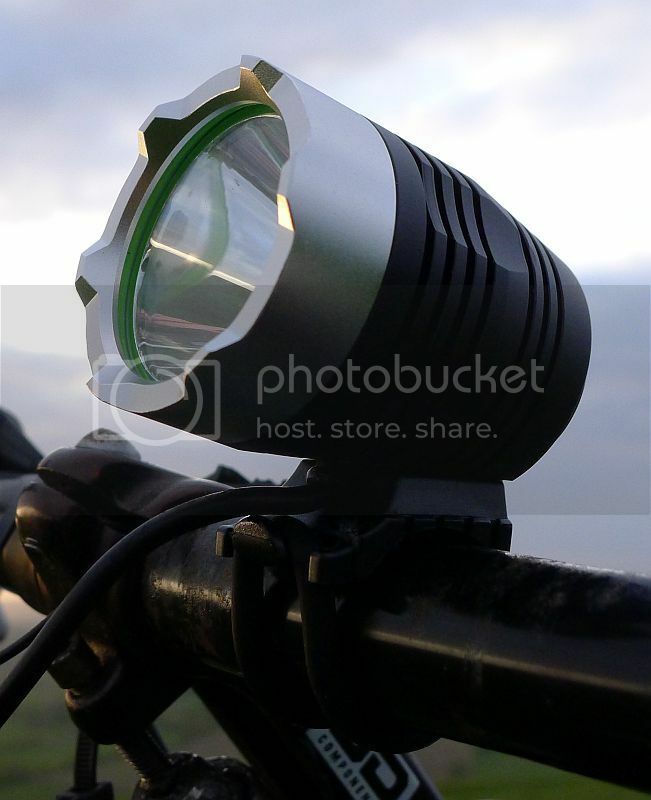 The crenelated bezel, seems unnecessary as this is a bike light and will not be used hand held, so not sure why that detail is present, but all the other features are positive. Customer expectations are growing, and with the S14, Xeccon are certainly keeping up with these. I’ll cover these in the main review, but so far I’m pleasantly surprised with the S14. The outer box appears identical to other Xeccon boxes, in fact I think the S12 is pictured on it. The S14 model designation is marked on the side of the box. Inside, there is a compartmentalisation which nicely divides the contents and presents them to the user well. 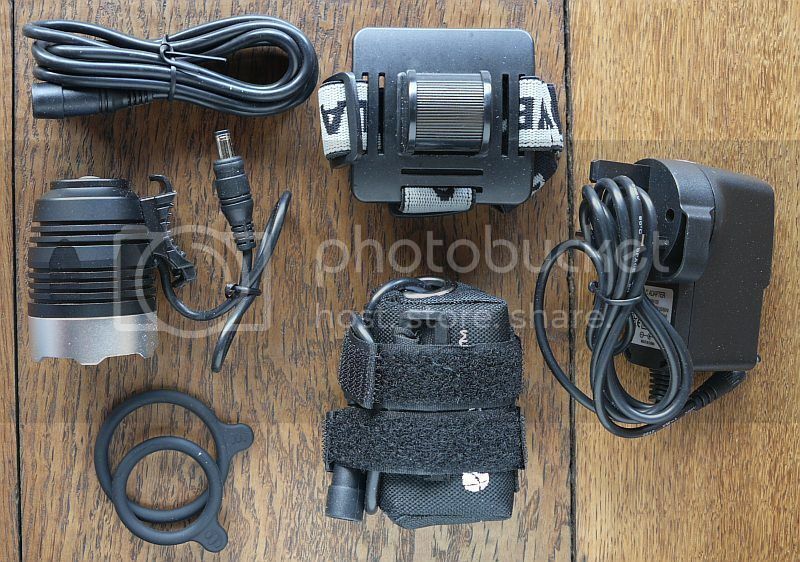 The main S14 light head is accompanied by its o-rings (with tabs to hold onto), battery pack, charger, head mount, and cable extension for when it is used on the headband to allow the battery pack to be on your belt. As seen in the previous photo, the o-rings used to secure the S14 to your bicycle, now have tabs to give you something to grip when stretching the ring into place. The underside of the mounting block has a ribbed rubber insert, which conforms to and grips the bar. The hooks on the mount for the o-ring are well defined and shaped, with the front hook having lugs to retain the o-ring while you take it on and off the bike. 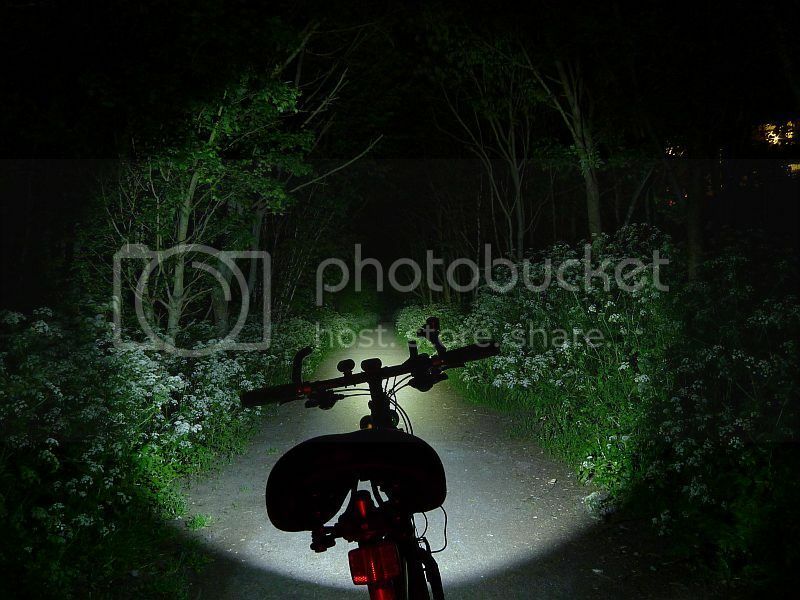 The rear of the light unit has an illuminated button. One new feature is the inclusion of a low battery warning light which shows a red light in this button to remind you to charge the light. In normal use the button is illuminated when the battery pack is connected a turquoise colour. 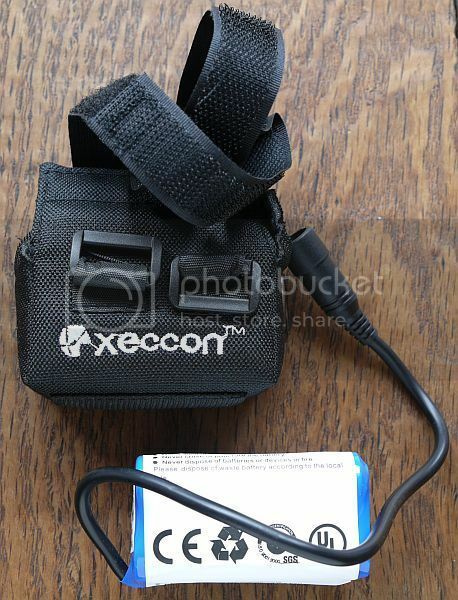 Removed from the mounting pouch, the Xeccon has a 4 x 18650 pack. 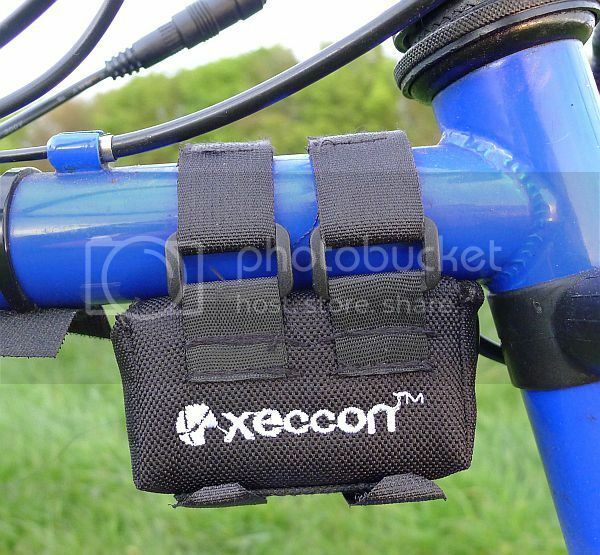 The pouch is well finished with the Xeccon branding embroidered on the side, and dual straps for attaching it to just about any tube size you will come across. There are several cooling fins machined into the body. Once the battery is connected (and if the S14 was on when the battery was last disconnected, it will come on in the same mode), the button is illuminated. 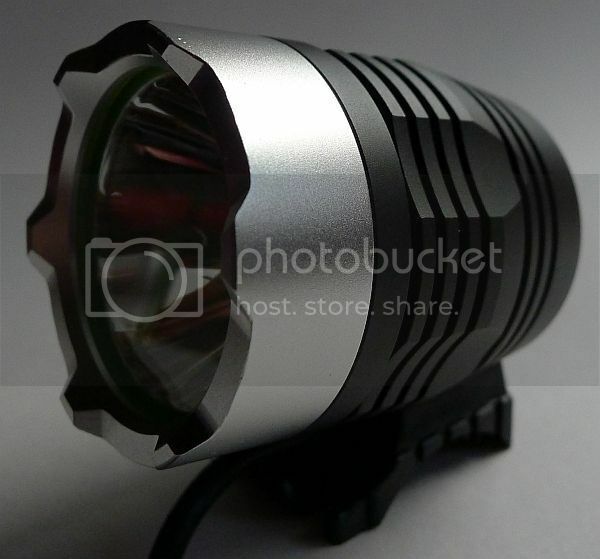 With a soft click, the S14 comes on in High, another click takes it to Low and a third to Strobe. One more click and the S14 goes off/standby. The S14 is supplied with an 8.4 V battery pack that has 4 x 18650 cells in 2P2S configuration. 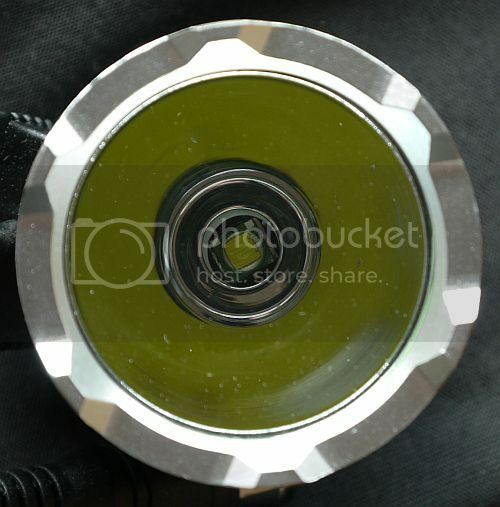 There are no user serviceable part and the pack is sealed against water ingress. The supplied charger, when connected and charging, shows a red light, once a full charge has been achieved the light goes green. To measure actual output, I built an integrating sphere. 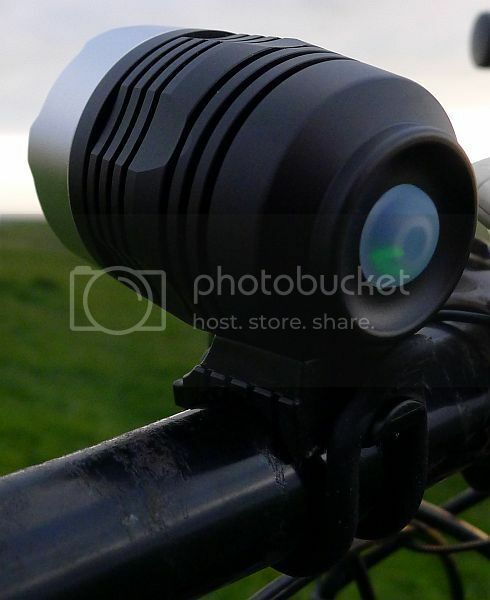 The sensor is a photo-diode restricted to visible light only (so Infra-Red and Ultra-Violet will not register). This was chosen as our eyes can only use the visible wavelengths of light so this is generally the only useful output. The integrating sphere was calibrated using 12 different reference sources and taking an average of the factor used to convert the measured voltage output to Lumens. 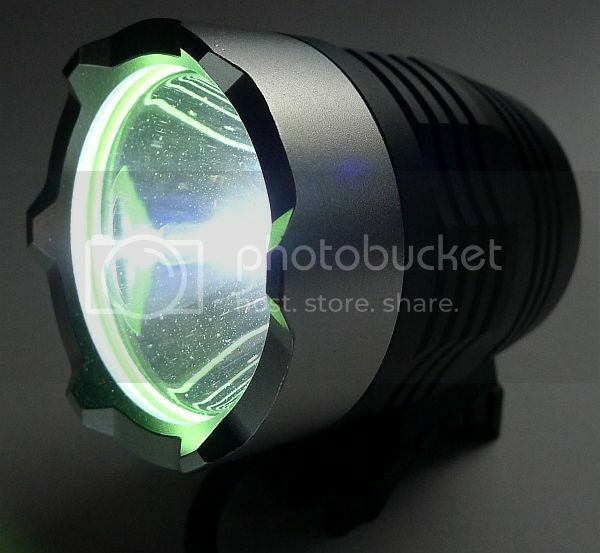 Output figures are quoted as ANSI lumens where the measurement is made 30s after turning on the specified output level. Initial figures when first switching on are always higher, but all quoted measurements are ANSI. Please note, all quoted lumen figures are from a DIY integrating sphere, and although every effort is made to give as accurate a result as possible, they should be taken as an estimate only. The results can be used to compare outputs in this review and others I have published. 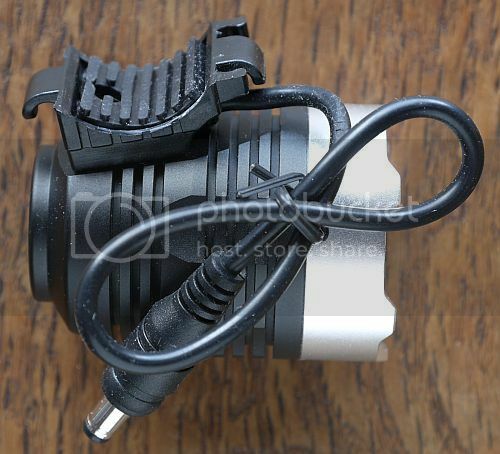 The S12’s strobe was at 14.2Hz, which is a little too fast for a bike light, the S14 has this set at 8.3Hz, which is better but would be better still around the 3-4Hz range. Being a soft click button, there is parasitic drain to be considered as the internal circuit is kept powered, but being sealed I have not been able to measure this. I would advise keeping the battery disconnected when not in use. In an attempt to quantify the actual beam profile I developed the following test. There are probably many flaws in my method, but it is simple and easy to carry out and seems to provide a good enough comparison. The method used was to support the light 1m off the floor and 1m from a wall, with a tape measure on the wall. The zero of the scale is placed in the centre of the hotspot and a lux meter is then positioned at points along the scale, with the measurements recorded. Beam shots are often taken with the light shining on a flat white wall, so this method is simply measuring the actual intensity across the beam on a flat surface, not the spherical light emission. For the best throw you want to see a sharp peak with less of the distracting spill. For the best flood light the trace should be pretty flat. The beam of the S14 is compared here to the S12. 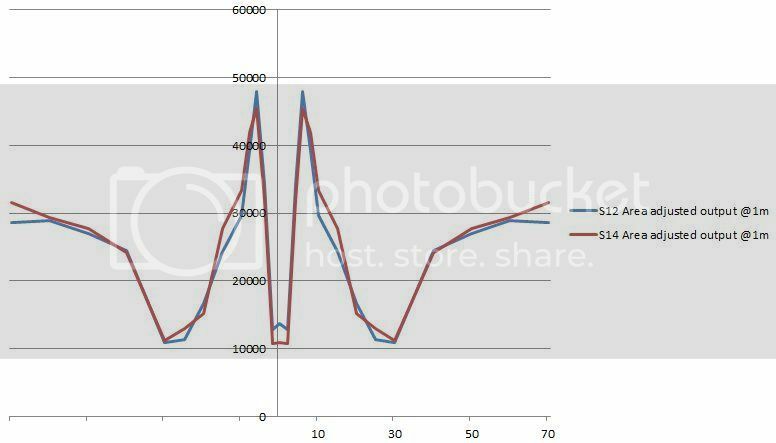 As seen in the previous section, overall output of the S14 is higher, but the central beam peak is lower as the S14 has a wider hotspot. 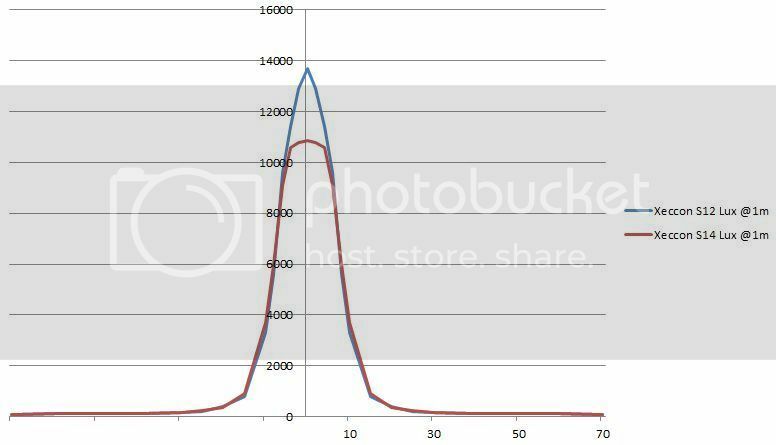 The S14’s wider hotspot and brighter outer spill can be seen in this graph. Wide and strong the beam provides light from just ahead of the front wheel, well ahead of the rider. 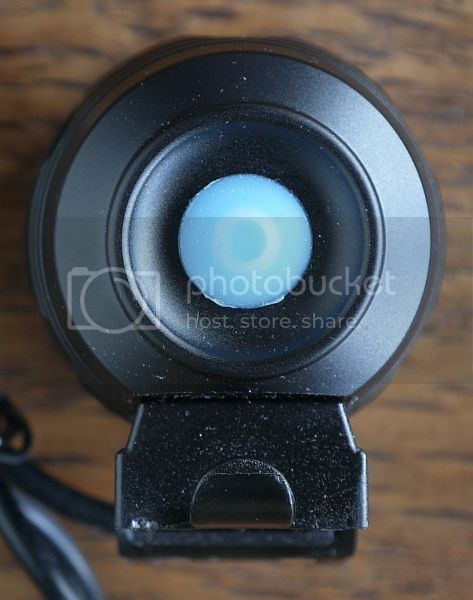 The illuminated button clicks very cleanly and positively, and the added feature of low battery indication very useful. I switch to low output when this is shown as it is a bit like running on reserve power. 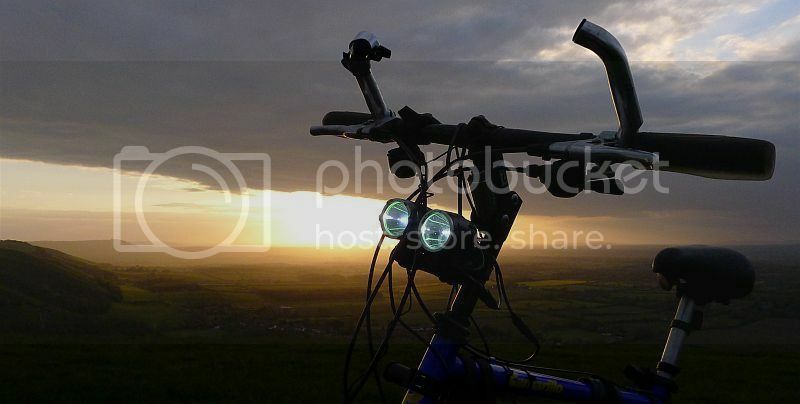 The battery pouch fits firmly, with the two straps fitting onto the smallish old-school crossbar tube of my aged mountain bike. There is plenty of strap left to fit onto oversize tubes so there should be no problem fitting this to any bike. 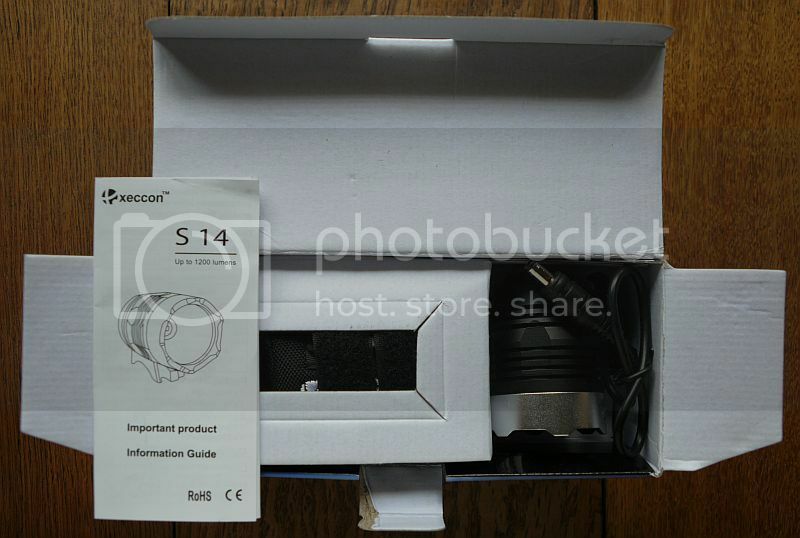 The Xeccon S14 is a competent package which has design touches that belie its reasonable price tag. I’ve found it to be a very worthy successor to the S12 with improvements across the board. The S14 and S12 next to each other. Test sample provided for review by Xeccon.